Gold mount li-ion battery with built in charger. Five stages LED display the battery capacity exactly. Prevent false capacity from happening efficiently. 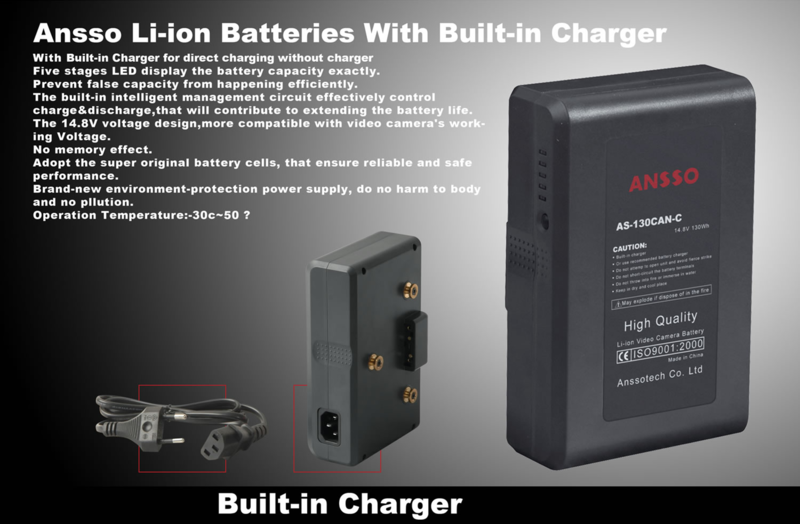 The built-in intelligent management circuit effectively control charge&discharge,that will contribute to extending the battery life. The 14.8V voltage design,more compatible with video camera's working Voltage. 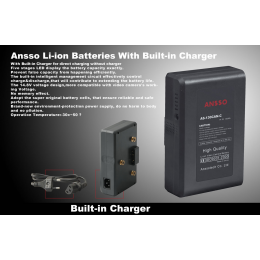 Adopt the super original battery cells, that ensure reliable and safe performance. Brand-new environment-protection power supply, do no harm to body and no pollution.